Bucharest, the capital of Romania, is the largest city and the main political, administrative, economic, financial, banking, educational, scientific and cultural center of the country. Being the largest city of Romania, with a population of over 2.3 million inhabitants, Bucharest is full of green areas, parks and lakes such as: Herastrau Park, Cişmigiu Garden, Carol Park, Tineretului Park, Icoanei Park, Bordei Park; the main hydrographic artery that runs through Bucharest is Dambovita river. Cotroceni Hill was the place of residence of many of Romania’s rulers for a time until 1883, when King Carol I of Romania received the residences and ordered them demolished with plans to build a much larger edifice in their stead which would serve to house the future heirs to his throne. Construction of this new royal palace was commissioned to begin in the year 1888, the project being placed under the direction of French architect Paul Gottereau. During the rule of King Ferdinand I and Queen Marie, further improvements have been made to the royal palace. At the request of Queen Marie, the north wing of the palace was completed with the space that would be used to house the maids of honor and adjutants in duplex apartments of sorts. A gymnastics hall at the semi-basement was also built, taking up the space where it is assumed that a chapel would have resided on the ground floor. On October 1915, the space was refitted to accommodate central heating. In 1976, during the regime of Nicolae Ceauşescu, the Cotroceni Palace once again changed its purpose after its transfer to the State Protocol (Protocolul de Stat). Its new function would be as a residential building — a guest house. 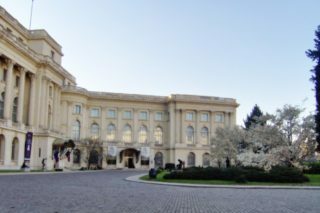 Since 1991, Cotroceni Palace has been the residence of the Romanian President. 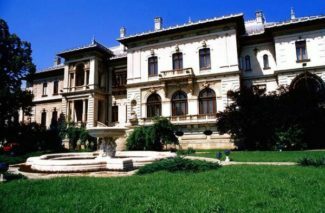 The National Cotroceni Museum is located in one wing of the palace open to the public. The Palace of Parliament (Romanian: Palatul Parlamentului) in Bucharest, Romania is a multi-purpose building containing both chambers of the Romanian Parliament. 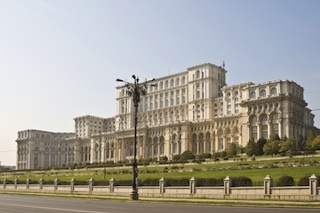 According to the World Records Academy, the Palace is the world’s largest civilian building with an administrative function, most expensive administrative building and heaviest building. 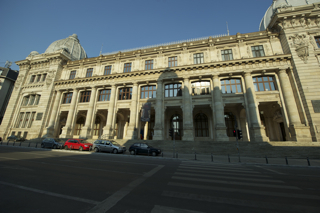 Since 1996, the building has housed Romania’s Chamber of Deputies, which had previously been housed in the Palace of the Patriarchy; the Romanian Legislative Council and the Romanian Competition Council. The Romanian Senate joined them there in 2005, having previously been housed in the former Communist Party Central Committee building. The Palace also contains a massive array of miscellaneous conference halls, salons, etc. used for a wide variety of other purposes. There are public tours organized in a number of languages. 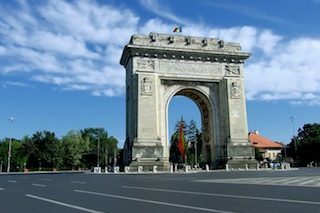 The first triumphal arch was erected in Bucharest in 1878, on the occasion of the return of the Romanian troops from the independence war. This monument got quickly deteriorated. The second triumphal arch was built in 1922, being dedicated to the victory of the Romanian armies in the First World War. This monument did not last either. The Triumphal Arch that can be admired today was built of stone, between 1935-1936, under the guidance of the architect Petre Antonescu, and it is 27 m high. The population of Bucharest, particularly the associations of the former combatants of the First World War, contributed with over LEI 7 millions to erect the current Triumphal Arch, upon the call of the Ministry of National Defense. 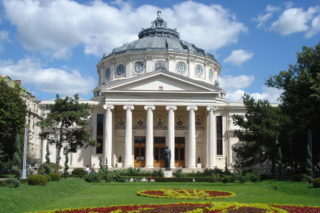 The building that now shelters the National Romanian History Museum was inaugurated in 1900, under the name of Post Palace. An architectural monument, the building has a surface of 8,000 sq.m. The museum was founded here in 1970 as the most representative archeology and history museum in the country. The earthquake of 1977 greatly damaged the building and the exhibits that were part of the national patrimony, so that the exhibition was almost entirely changed. Thus, during the communist dictatorship period of Nicolae Ceausescu, the Museum was a place of propaganda for the Romanian Communist Party. After the events of 1989, the Museum changed its image, recovering its exhibits and organizing many international exhibits. The museum currently exhibits documents and archeological evidence from the various stages of the evolution of the Romanian people, on different plans: social, politic, administrative, and cultural. Recently, the exhibition of the famous Dacian bracelets, recovered not long ago by the Romanian state, had a great success. 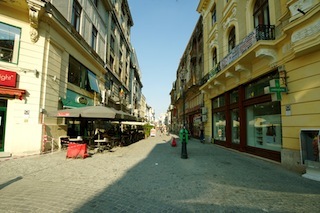 The Lipscani street of today is one of the oldest arteries of Bucharest, being attested with documents since the 5th of June 1589. Known as the “Large Alleyway”, the Lipscani street was the main trading and handicraft area of the city. The Village Museum, founded by the sociologist Dimitrie Gusti in 1936, is one of the first and most valuable ethnographic museums in the world. It is the second outdoors ethnographic museum in the world, after the one in Stockholm. Spreading on 30 hectares and counting over 70 houses, 99 annexes and churches. Each building is a museum in miniature, being endowed with traditional objects, from towels and cookers to watermills and windmills or oil presses. The houses and churches represent all the regions of the country in various periods of the Romanian people’s culture, as the museum is trying to recompose, in a generous natural frame, the intimate atmosphere of each dwelling. Around each house one can see the barns, the stables and the other outbuildings, the wood, cane or air-dried brick fences, the modest or imposing gates. Ten households have been brought from Moldavia, among which the house from Straja dating since 1760. The Lipova household, dating since 1898, and the fishery, both from Jurilovca cannot remain unnoticed. The popular architecture of Muntenia is illustrated, among others, by the beautiful household of Chiojdu, built of boulder stones and having a gazebo made of carved pillars. The hovels of Draghiceni and Castranova, which are archaic dwellings, were brought from Oltenia. Also, the house of Salciua (from Motilor Country) was brought from Transylvania, which is singularized by the enormous straw roof. Visitors can also admire inside the Museum the windmill of Dobrogea or the pottery workshop of Horezu. The overall style is neoclassical, with some more romantic touches. In front of the building there is a small park and a statue of Romanian poet Mihai Eminescu. Inside, the ground floor hosts an ornate conference hall as large as the auditorium above; the auditorium seats 600 in the stalls and another 52 in loge seating. Recognized as a symbol of Romanian culture, the building has been inscribed in 2007 on the list of the Label of European Heritage sites. The National Museum of Art of Romania (Romanian: Muzeul Național de Artă al României) is located in the former royal palace in Revolution Square, central Bucharest, Romania, completed in 1837. 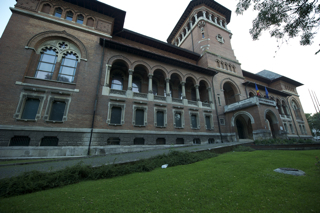 It features notable collections of medieval and modern Romanian art, as well as the international collection assembled by the Romanian royal family. In 2005, the National Museum of Art opened the exhibition Shadows and Light from 15 July to 2 October. Four centuries of French painting on exhibition turned out to be the largest exhibition of French painting shown in Central and Eastern Europe after 1945. 77 works were exhibited, including masterpieces of painters such as Poussin, Chardin, Ingres, David, Delacroix, Corot, Cézanne, Matisse, Picasso, and Braque. The modern Romanian collection features sculptures by Constantin Brâncuși, Milita Petrașcu, and Dimitrie Paciurea, as well as paintings by Theodor Aman, Nicolae Grigorescu, Theodor Pallady, Gheorghe Petrașcu, and Gheorghe Tattarescu. The international collection includes works by Old Masters such as Domenico Veneziano, El Greco, Tintoretto, Jan van Eyck, Jan Brueghel the Elder, Peter Paul Rubens, and Rembrandt, plus a smattering of works by impressionists such as Claude Monet and Alfred Sisley. Among the most famous Old Master works in the collection are Jacopo Amigoni’s portrait of the singer Farinelli, a Crucifixion by Antonello da Messina, and Alonso Cano’s Christ at the Column.